Machined out of high grade stainless steel and to the utmost perfection, the Action Army series of Airsoft Inner Barrels were designed to enhanced the performance of your airsoft gun to improve the accuracy, range, and even power of your shots. 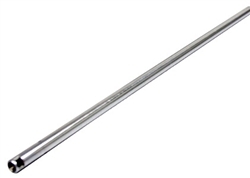 A one piece designed inner barrel designed for airsoft guns with 430mm length barrels like the VSR10 Long model of airsoft guns, you can swap your existing inner barrel for this enhancing one. With a bore diameter of just 6.01 mm this is as close to the BB you will ever get. 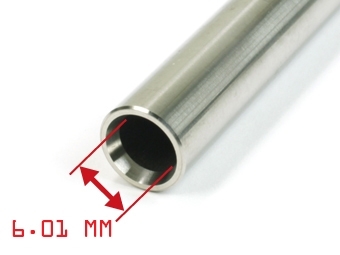 With only .01 mm you'll have the ultimate boost in funneling your airsoft gun's energy into the BB's. Ensure to use only the best and clean BB's as having any margin of error whether from imperfections to a grain of dirt can cause jams and damages to the inner barrel.